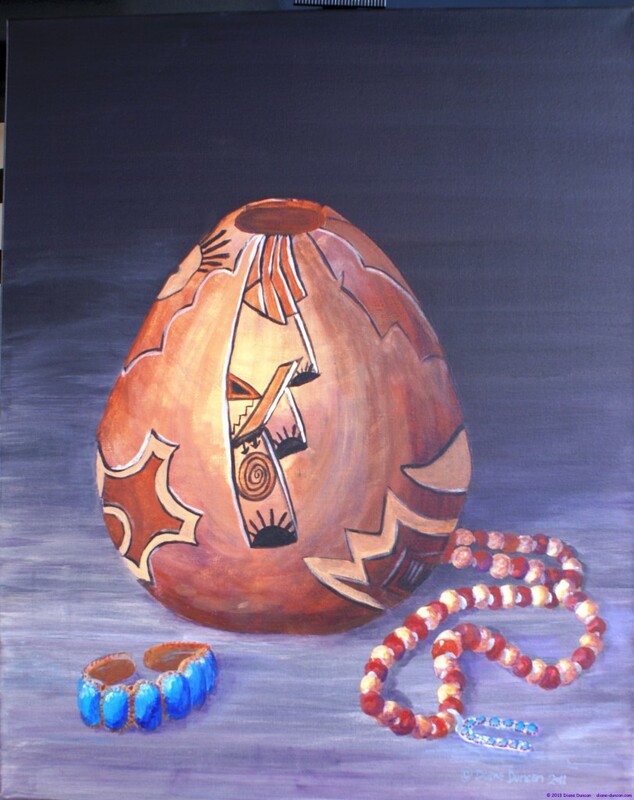 Through the winters spent in the American Southwest I have developed a love of native art. I was commissioned to do a piece that would accent a condo decorated with a Southwest flair. This was the piece I painted in my ‘outdoor studio’, in defiance of the space limitations of my transient life in a motor-home.